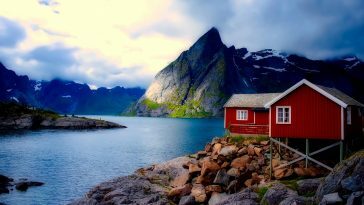 Along with Guinness, the Irish Coffee is the ubiquitous St. Patrick’s Day beverage, and one of the most famous drinks the world over. 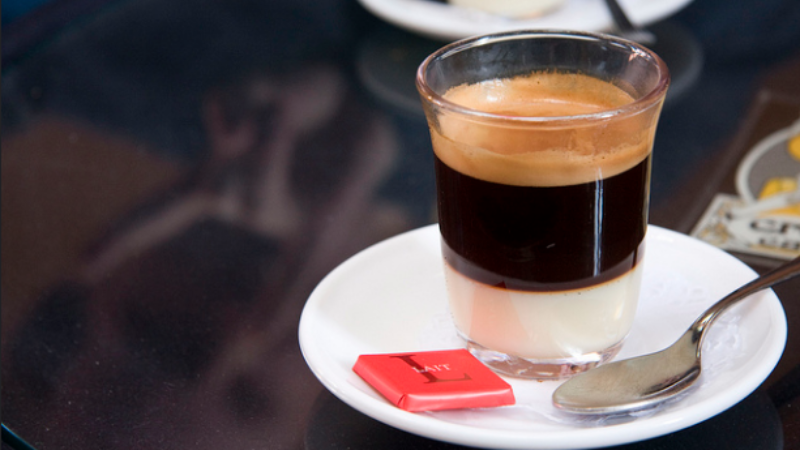 But what’s behind the seemingly simple coffee, Whisky, and cream mixture? 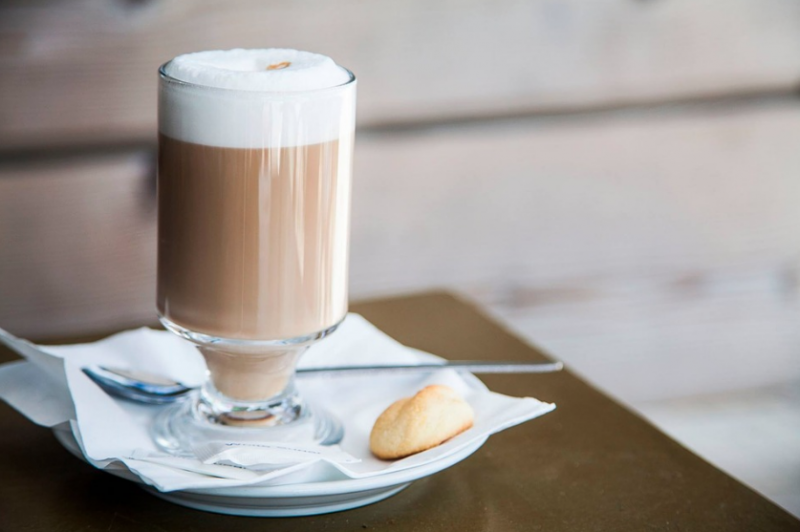 The very first Irish Coffee came from the flying boat terminal at Foynes, in 1943, which was the main airbase in Europe for flying out to the United States (often carrying the celebrities and important political figures of the time). 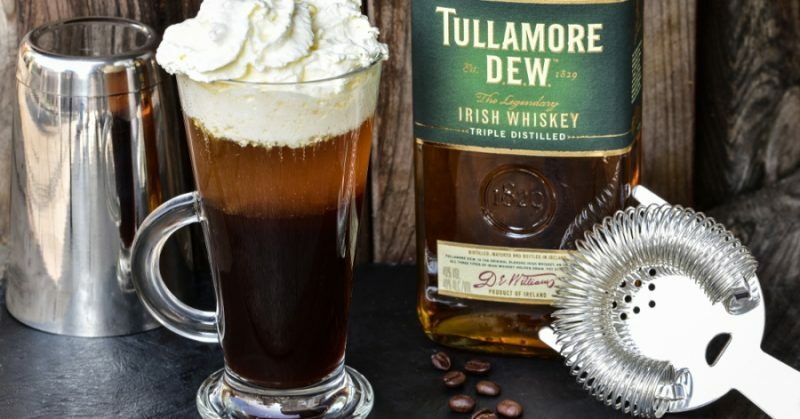 It was created by bartender and chef Joe Sheridan, who served the original Irish Coffee to some—we’ll say quite lucky—passengers while he was working at the port, and a seaplane bound for New York was turned back and grounded due to poor winter weather. He was tasked under a time crunch to come up with a warm food and drinks menu to serve the stranded, VIP passengers, and he more than delivered. The Irish Coffee was the star of the night and an instant success. Fast forward to 1951, after a few more years of Joe Sheridan’s Irish Coffees now served regularly to the passengers at the terminal in Foynes. 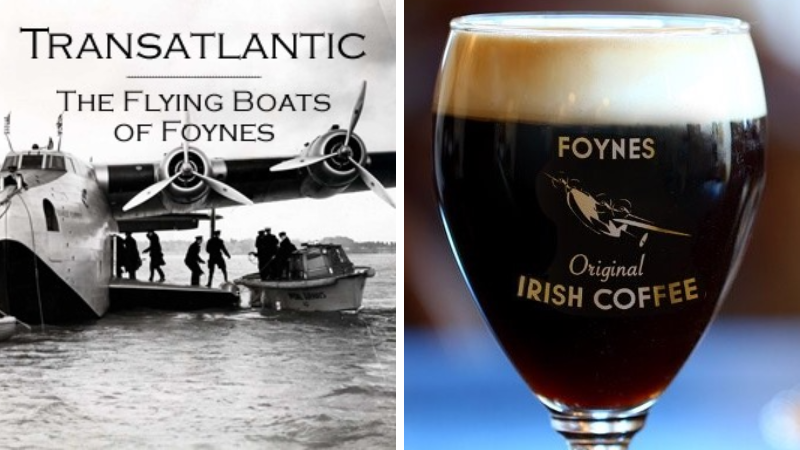 One traveler by the name of Stanton Delaplane, a Pulitzer Prize-winning travel writer for the San Francisco Chronicle, was on his way through Foynes to get back to the States, and he stopped to try an Irish Coffee before his departure. 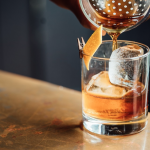 Mr. Delaplane was so captivated by this creation that, upon making it back to San Francisco, California, he brought the recipe to bartender Jack Koeppler, of Buena Vista Cafe, and together they tirelessly worked out the recipe. 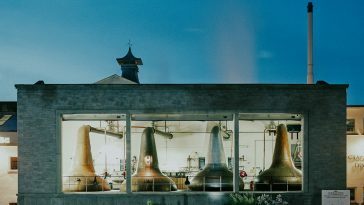 When they could not get the cream to float on top of the cocktail as Mr. Sheridan had so effortlessly demonstrated, Mr. Koeppler took it upon himself to trek back to Ireland and learn how it was done in person. After the recipe was tested out on some customers, the Irish Coffee gained seemingly exponential popularity overnight. Meanwhile, back in Ireland, Joe Sheridan had worked through the closure of the flying boat terminal at Foynes, as landplanes became the new way of travel, and took his recipe to the Shannon Airport. 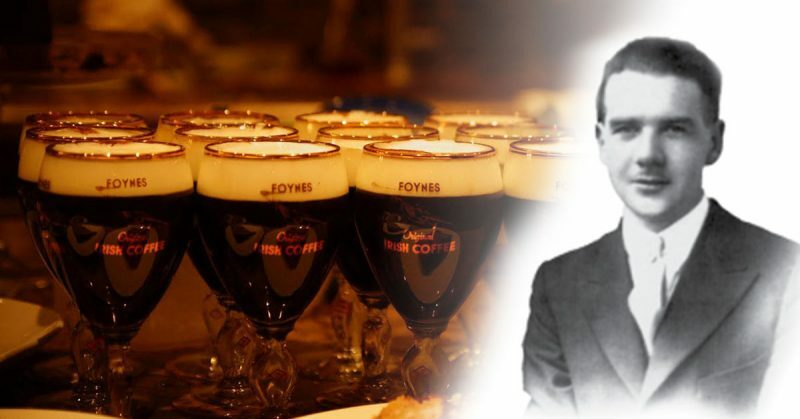 Not too long after, Mr. Sheridan was asked to work for Buena Vista Cafe itself, which had now become famous for the Irish Coffee – a bar devoted to his creation. 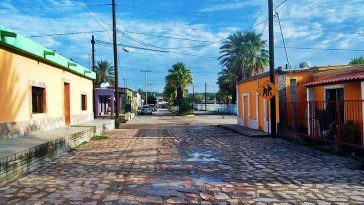 Mr. Sheridan obliged and made the move from his small town north of Dublin to the United States, and worked at Buena Vista Cafe for ten years. He now rests in Oakland, California. 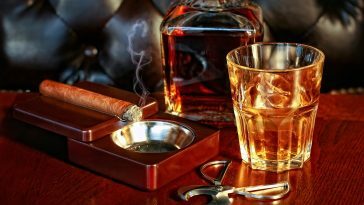 The Buena Vista had its own Buena Vista Irish Whisky distilled for use for many years, and it still serves over 2,000 Irish Coffees a day, with almost mechanical production and perfected skill, a practice handed down from the master bartender Sheridan himself. 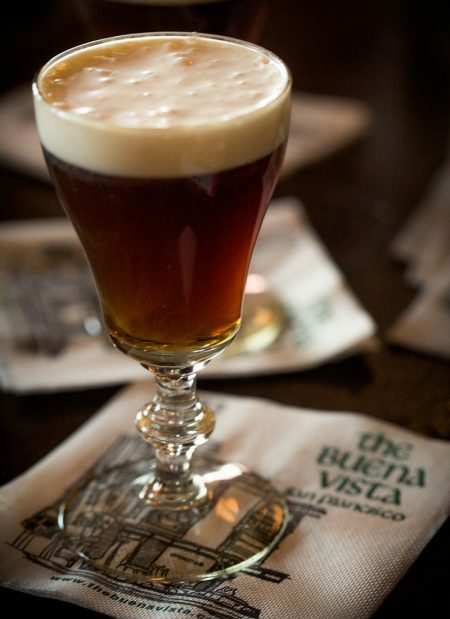 If you can’t make it to Hyde Street in San Francisco for the Buena Vista itself this weekend, you’re not out of luck—the original Irish Coffee recipe isn’t a locked up secret, and I’ve included it below; the beauty is in its simplicity and accessibility, an ingenious combination. 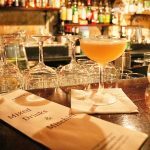 Of course, as one of the most popular cocktails in history, many a bartender have taken it upon themselves to make an original rendition—I’ll leave you with a few “new” options to test out, too, so that you’ll be set to enjoy the many forms of Irish Coffee all day. The recipe by Joe Sheridan, Stanton Delaplante, and Jack Koeppler, still practiced at Buena Vista Cafe today. Fill the Irish Coffee glass with boiling water to pre-heat for the cocktail. Once the glass is sufficiently warmed, drain the water. Place the two brown sugar cubes (or granular sugar) in the bottom of the warmed glass, and pour the coffee over until it fills about three-quarters of the glass. Stir to dissolve the sugar cubes (or granular sugar) completely. Add the jigger of Whiskey. Stir briefly and gently to mix. Pour about a third of a cup of heavy cream in the jar, and shake just enough to aerate it for it to float on top of the cocktail. Pour the cream slowly over the back of the bar spoon to float it. Vietnamese Coffee is known for its silky-sweet condensed milk component, and this powerful rendition adds a Whiskey kick. Fill the espresso cup with boiling water to pre-heat for the cocktail. Once the glass is sufficiently warmed, drain the water. Measure out the sweetened condensed milk, depending on sweetness desired, and pour into the bottom of the espresso cup to form a layer. Top with the shot of espresso, and add the Whiskey. For those that prefer some cream and sugar in their coffee, the creamy Irish Coffee rendition might be the favorite. 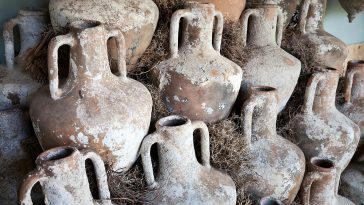 Of course, the cream here is a liquor – but what else might you expect? Add black coffee to the glass, and top with Irish cream liqueur and Irish Whiskey. Stir gently to combine. If whipping cream by hand, pour about a third of a cup of heavy cream in the jar, and shake just enough to aerate it for it to float on top of the cocktail. Pour the cream slowly over the back of the bar spoon to float it. If using pre-whipped cream, gently top cocktail with whipped cream.